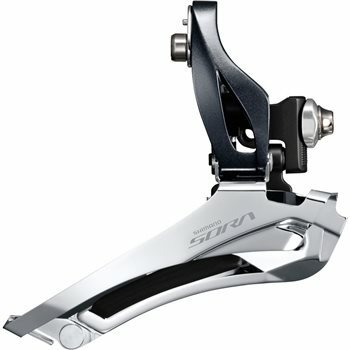 9-speed compatible Sora double front derailleur delivers great value to sport-level road riders. For road cycles equipped with 9-speed drivetrains. Long pull arm for light action spring reduces effort required to actuate shifts.